Completely unexpected scale smasher this week. Also, 4 awards for this week too! I've had people questioning me at group and online on how I manage it, how I get big losses. The truth is, I don't always. I've had a couple of great losses, this week I'll probably only lose a pound as that's the way it seems to go. I do find myself leaning towards more superspeed fruits like melon and strawberries as those are my favourite. Truth was this week I wasn't feeling so well so I didn't eat a lot for a couple of days. I made sure to get my healthy extras in though. 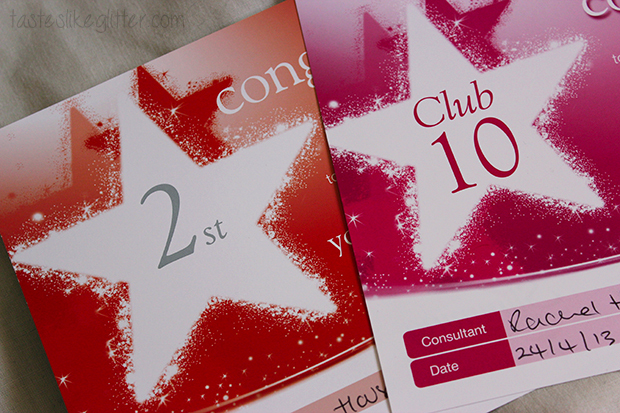 I couldn't believe I got slimmer of the week for the second time in a row and slimmer of the month. It really makes you feel good when you get these kind of rewards. It can sound so silly but I can't wait to get my next sticker and certificate. It's the little things that really motivate me to keep going with my journey. I might be 2st down but I don't really notice much of a change in how I look. How my clothes feel is a different matter but I don't really see anything. Things like certificates and stickers help to remind me how far I've come in just 9 weeks. I may have a long way to go but hell, I'm off to an amazing start.